These are old grown pine 40 years, 50 years, 60 years old pine. These would be ideal for material to build log cabins. 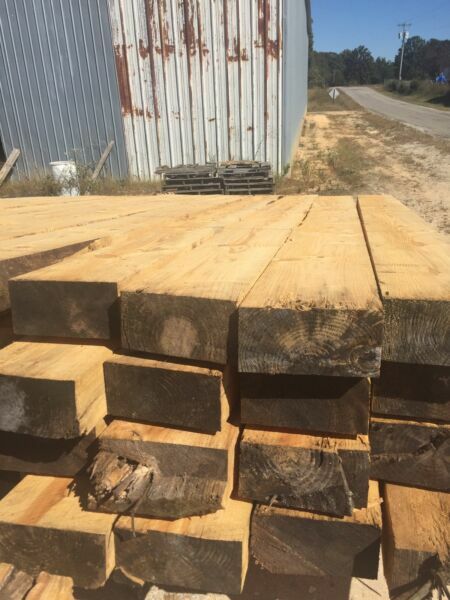 We are a hardwood sawmill, but on occasion get old growth pine. These are 7 1/2 inch by 15 inch by 16 feet long. Also, have about 75 piece of 7x9x16 to 17 feet long oak as well if of interest & put up listing on eBay. Buyer is responsible for all shipping costs. You will have to disregard eBay's shipping cost as they did not allow for a option of a whole trailer truck load lot or very heavy individual items . Email us your ziocide for a free shipping rate quote.